Naval, Biliran – A bill which seeks to ease the shortage of government physicians serving in rural health units and government hospitals has been filed in the House of Representatives. Biliran Lone District Rep. Rogelio J. Espina told Manila Bulletin he has filed House Bill 4161 which will require all post-graduate physicians to render six months of medical service in local health facilities after passing the board examination for general practitioners and after specialty training. 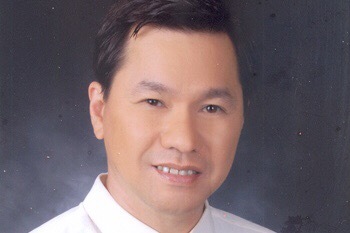 Espina, an orthopedic surgeon, was governor of the island-province of Biliran. “The Philippine College of Physicians declares that there is an existence of doctor and health specialists’ workforce crisis that threatens the lives of millions of Filipinos, especially the poor.” Espina said. Only 14,129 out of 66,000 physicians in the country are working in rural areas, he noted. “There is also a need for government to provide scholarship for medical profession to deserving students,” Espina said. An alarming 47.6 percent of Filipinos die because they were unattended by a doctor or allied health provider, he said. He said even the Department of Health (DOH) has unfilled Doctors to the Barrios) positions intended for municipal health offices. Under the bill, Espina said a council will be created composed of the secretary of Health as chair, with the secretary of Interior and Local Government; and the presidents of the Professional Regulatory Board of Medicine, Philippine Medical Association, and the Philippine Hospital Association as members. The council will set policies, rules and regulations and guidelines for the post-graduate physicians.